Today I want to introduce you to our fellow friends often seen around our lovely camp. After 1 year in Chada Katavi, you really get attached to some of them and they become part of your own family. Dogo is definitely the Soul of Katavi, seeing her is always magical. She is 3.5 years old, and we’ve known her since she was born. She’s such a relaxed, beautifull, elegant lady. 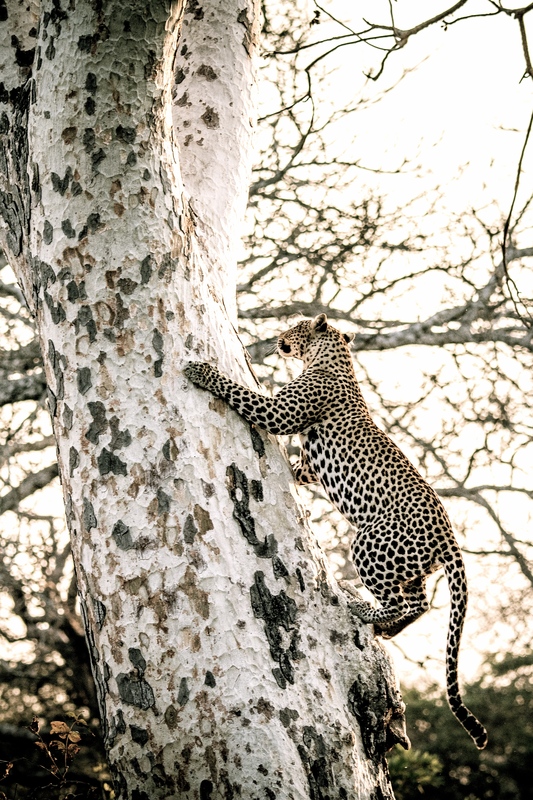 So many guests have had the great opportunity to spend time with her, drinking a gin and tonic right at the bottom of her Star-Chesnut Tree, or often coming towards us and spending a bit of a time close to the car, marking our tyres as her territory! Dogo dear, we love you so much you beauty. Around the camp stands majestic Tamarind trees and from mid-July the fruits are such a feast for the elephants. 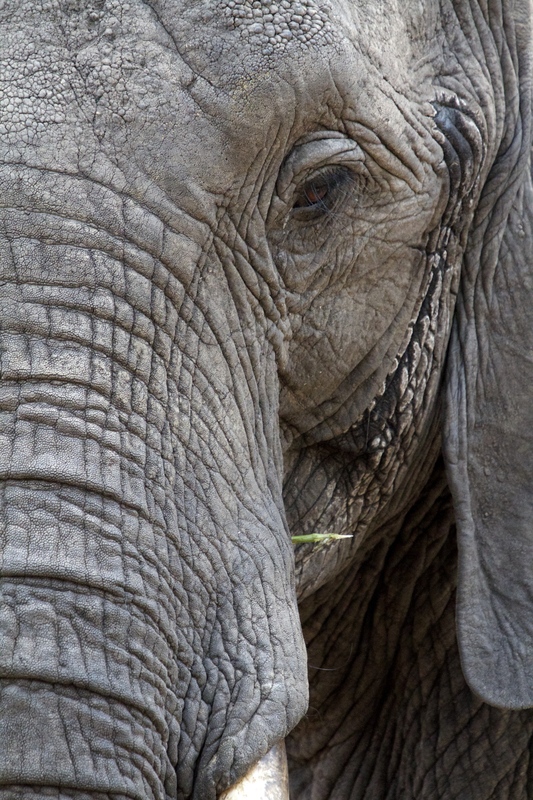 And specially for Josephine’s family - a bunch of 5 elephants including Josephine the matriach and Little Joe the baby. 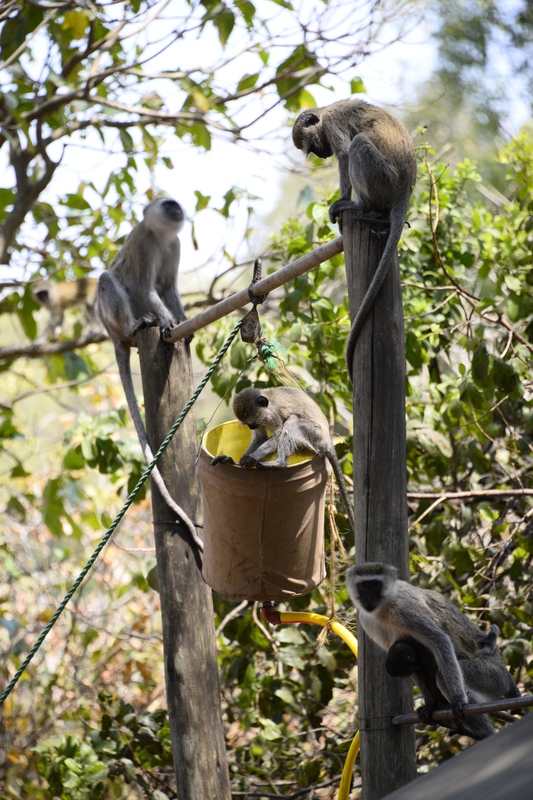 They often visit us, hang around the tents, have fun between them and enjoy the odd drink from the bucket shower! Than we have Joseph. Well this lonely male just loooooves the Tamarind tree just beside the kitchen, and so often we almost walk on to him, or should I say he almost walks on to us! Our dear Princess of the Night. She is living somewhere around the camp, every single night drinking from our birdbaths. In the morning you can see her footprints all over, as she checks her territory. It seems she considers Chada her own. My dear Celestine! The Rock and Roll Band - the vervet monkeys. Loooove them so much, such fun to watch them, such fun to see them trying at teatime to grab a fallen biscuit or having a drink at the bucket showers. Blang blang, here they are on the roof of the office, flop flop here they are on the roofs of the tent. For sure you cannot miss their joy. Our birds, our angels of the Chada sky. Well birders, you gonna be happy here. Party time every day at our different birdbaths. Purple-crested Turaco, Red-headed Weaver, White-browed Robin-Chat, Terrestrial Brownbul, Common and Yellow-bellied Greenbul, Collared Sunbird etc. Watching them having fun in the water in the morning is such a delight. The Chada Pride. 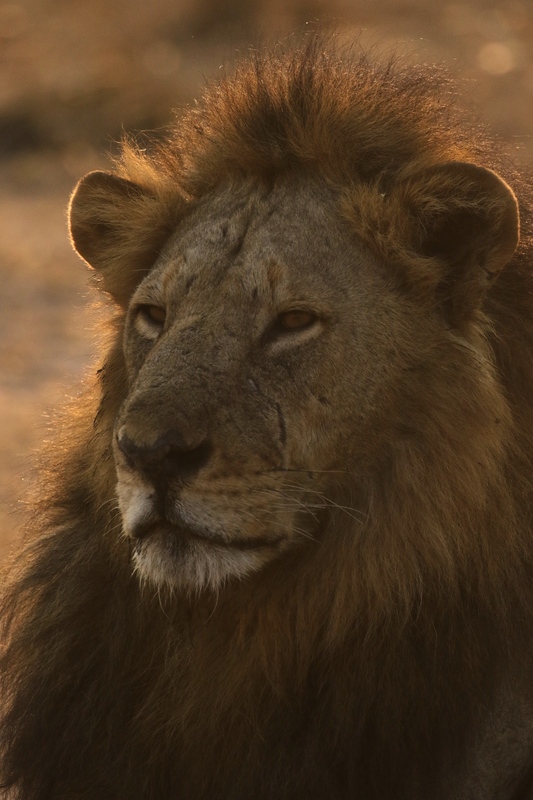 The King and his pride - 11 individuals including 2 cubs, Simba and Nala. Such a strong pride specialised in buffalos hunting. Big shoulders full of muscles, they rule the place, hearing their roar in the night makes you feel as if you are in the heart of Africa. Good luck Simba and Nala, soon it will be your time.